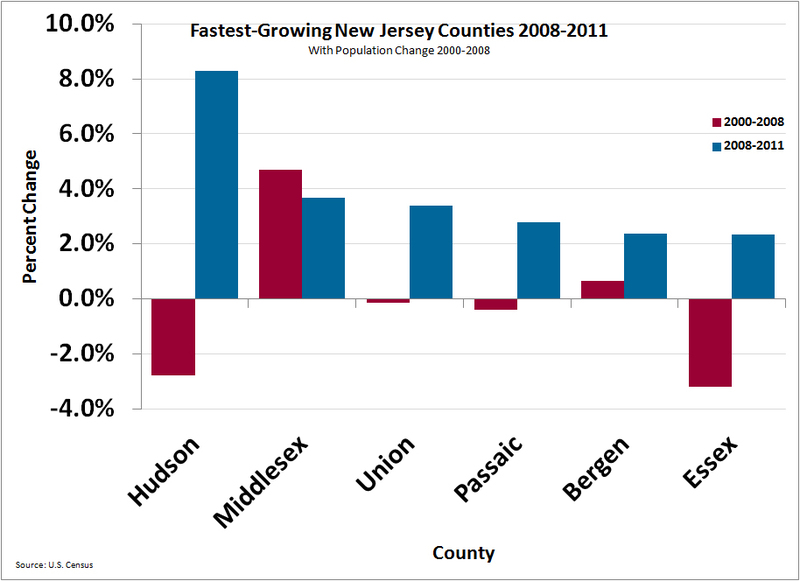 There’s good news for New Jersey’s older urban areas in the way New Jersey’s population is growing. The influx of international immigrants who fueled New Jersey’s population growth in the 1990s have chosen to settle in older urban areas, especially the cities and older suburbs ringing New York. The international immigrant population of Hudson County grew by 70,000 in the past decade; Essex County grew by 54,000 immigrants; Passaic County by 45,000; and Bergen County by 48,000. This represents a strong new market for urban redevelopment not served by today’s sprawling development patterns. Voters statewide echoed the same support for improved and revitalized cities in a statewide poll conducted in May by New Jersey Future. Some 72 percent of voters disagree that cities cannot be improved. Another 64 percent favor the idea of a $1 billion government bond to rehabilitate New Jersey’s large and small cities.